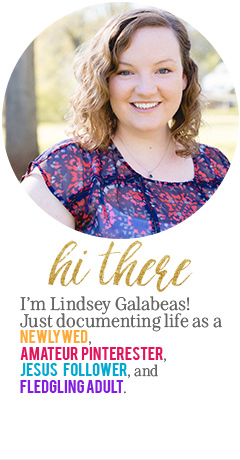 First, thanks to Lindsay from The Newlywed Notebook, andMae from Endlessly Ever After for hosting this awesome shindig! I was so excited to get my SoMe secret santa gifts together that I TOTALLY forgot that I too would be receiving a gift! And my secret santa did NOT disappoint! 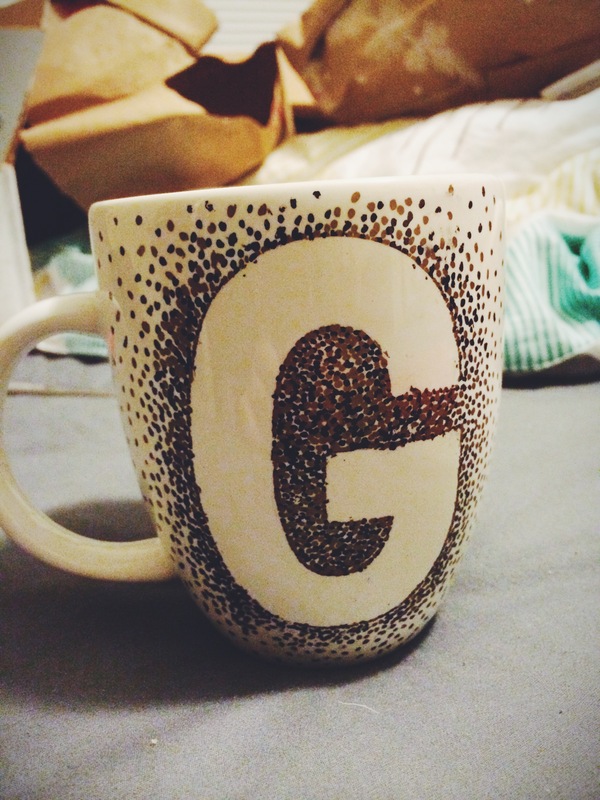 I mentioned on a previous blog that I was wanting a mug with the initial for my new last name (“G”), and my very creative secret santa made them in black and gold, which is a color combo I happen to be obsessed with right now! 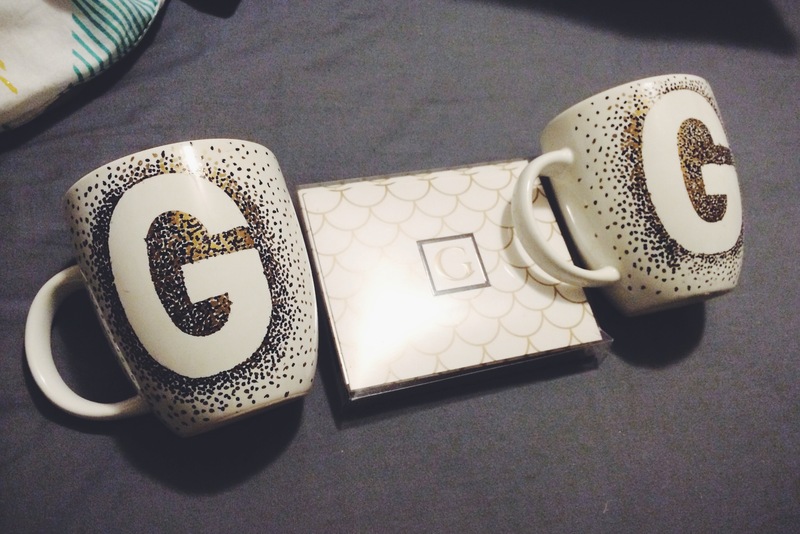 She didn’t just get me one of these awesome mugs, but two! 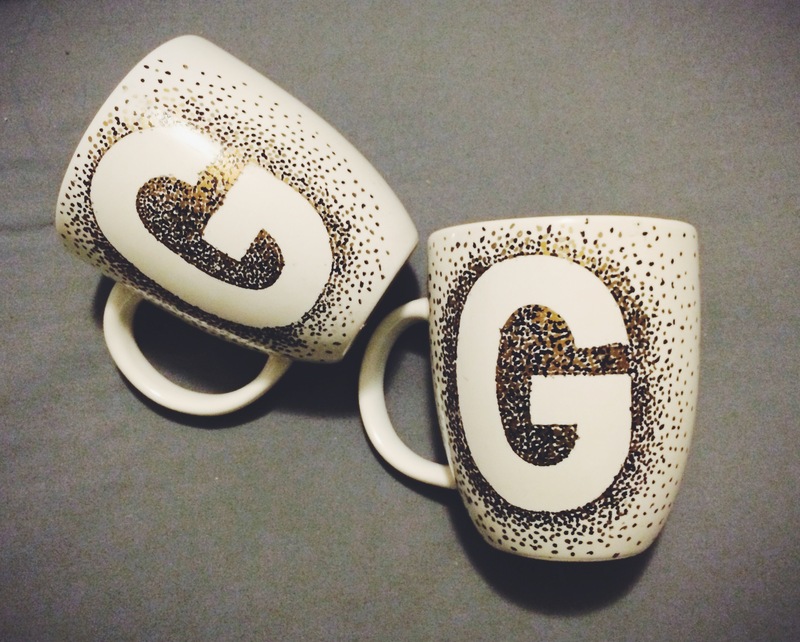 Mr. G and I (aka Roger) will be very happy to use these! So, so lovely! 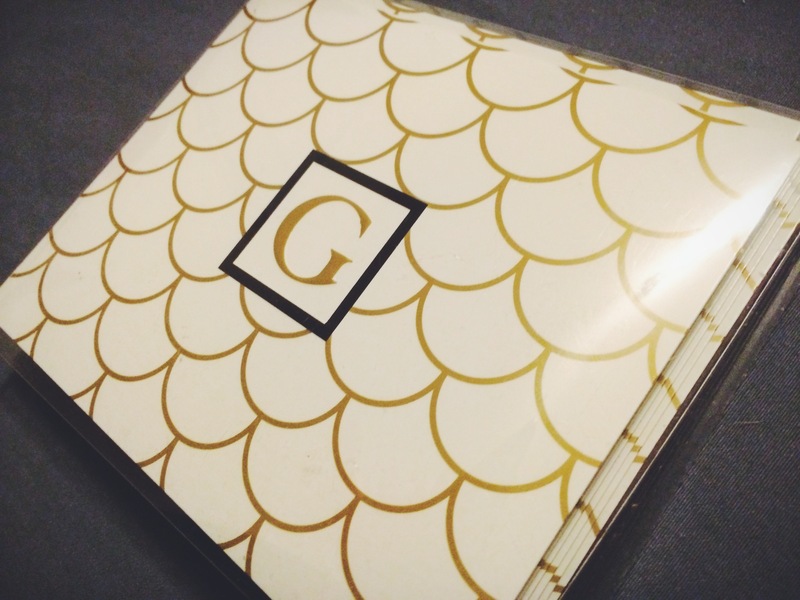 My awesome and wonderful secret santa also came through with some really beautiful notecards with the “G” monogram…also in black and gold. This chick can coordinate, which I really appreciate! And she may not know this, but I am a card writer for sure, so I’m very happy for these! Thank you, thank you, thank you, Amy! So thank you again, Lindsay and Mae for hosting! I had the best time sending AND receiving gifts from total strangers who now seem a lot more like friends than strangers! what a fun gift exchange! 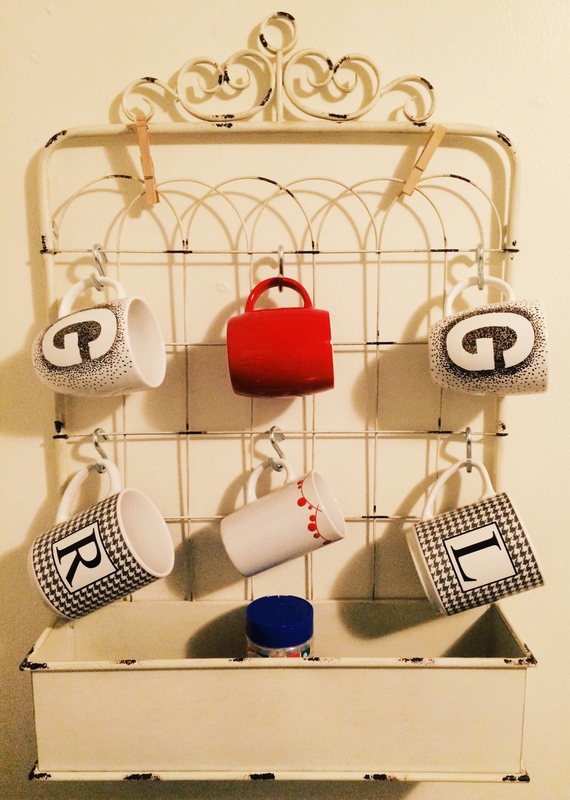 love your mugs on display they are perfect!!! It was SUCH a blast! Thanks again for hosting! YAY!!!! Glad you like them!!! You’re so welcome!